Rolls-Royce is understood to have handed a Europe-wide brief to Edelman to help restore its tarnished corporate reputation. Edelman won a multi-agency pitch, revealed by PRWeek in December, with a number of international corporate and financial agencies taking part. Rolls-Royce's international reputation took a heavy blow in November last year after problems with its Trent 900 engine that forced the emergency landing of a Qantas plane. Civil aerospace is understood to be a crucial aspect of the brief, but the account is also understood to include its defence aerospace, marine, energy, nuclear and services divisions. The firm's in-house comms team is led by corporate affairs director Peter Morgan, who joined towards the end of 2009 from his role as group director of comms for BT. Rolls-Royce uses Brunswick for financial PR in the UK and it is not thought this brief encroaches on this. 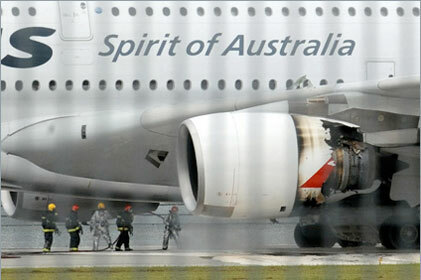 The company revealed earlier this month that the Qantas engine incident caused a £56m dent in its full-year profits. The Australian airline remains in talks over compensation and has not ruled out taking legal action against Rolls-Royce.